Yes, you can kick when you swim that way. I was checking out my company’s Facebook page this morning and saw that my office manager had posted an article entitled “3 Reasons You Should Be Doing More Kick.” To preempt any comments such as “I’m a triathlete. I thought that I wasn’t supposed to kick.”, I thought I would put together an article to address the issue. First of all, the article was written for a competitive swimming audience. Most competitive swimmers these days, even those doing the 1500m, are swimming with a 6-beat kick, or a steady, powerful kick, for their entire races. The author is very correct that a good kick helps with propulsion, helps glue the arms and body together, and keeps the body high on the water. Having said this, competitive swimmers don’t have a bike and a pair of running shoes at the end of their lane and need to grind out racing legs that are all about the legs. In the last 15 years, we’ve had the privilege of working with some of the worst kicks in the Chicago Metropolitan Area and the surrounding states. What the 1000s of lessons have taught us is that it takes a long time to learn how to kick effectively. Since it takes a long time to fix a bad flutter kick, I tell my coaching staff to work on the other aspects of the stroke first unless the kick is so ineffective that it is a major impediment to accomplishing anything in the lesson. Two common problems we see with this latter group are (1) legs so stiff or spastic that the swimmer can’t keep their legs off the ground and (2) stopping the legs during breathing or when doing the arm motion so the lower body hits the floor. While freestyle is an upper body dominated stroke, you do need to get some lift out of your legs to maintain a balanced posture. We like to call this “just enough kicking.” You can align your head, lean your body forward to balance, and get momentum, but you need to have enough lift from the legs to enable you to tip your body forward. What we work on with our swimmers is to cut down on the struggle and over-kicking to reduce the amount of energy expended with the legs. Then we can work on the other parts of the stroke. Once you can eliminate the wasted effort and get “just enough lift,” your goals should be work on kicking your legs in the same tube through which the rest of the body is moving. Kicks that are wide and use a lot of knee act to put on the brakes when you swim and either cause over- or under-rotation in the body. Further, when you get around to working on a 2-beat or 6-beat kick, your kick will be working against the very propulsion that you are trying to generate. That’s why we consider the 2-beat kick an add-on to the basic stroke rather than something that needs to be done first and foremost. Balance Drills with a Finis Swimmer Snorkel — Doing balance drills with a snorkel is a much better path to success than grabbing a kickboard and developing your kick that way. The board is shaped like a tombstone for a reason — you will probably be dead before you fix your kick. Pick any of the classic Total Immersion balance drills — Skating, Laser Lead Rotation, Spear-Skate, Swing-Skate. Practice working on your alignment and keeping your kick behind your body. 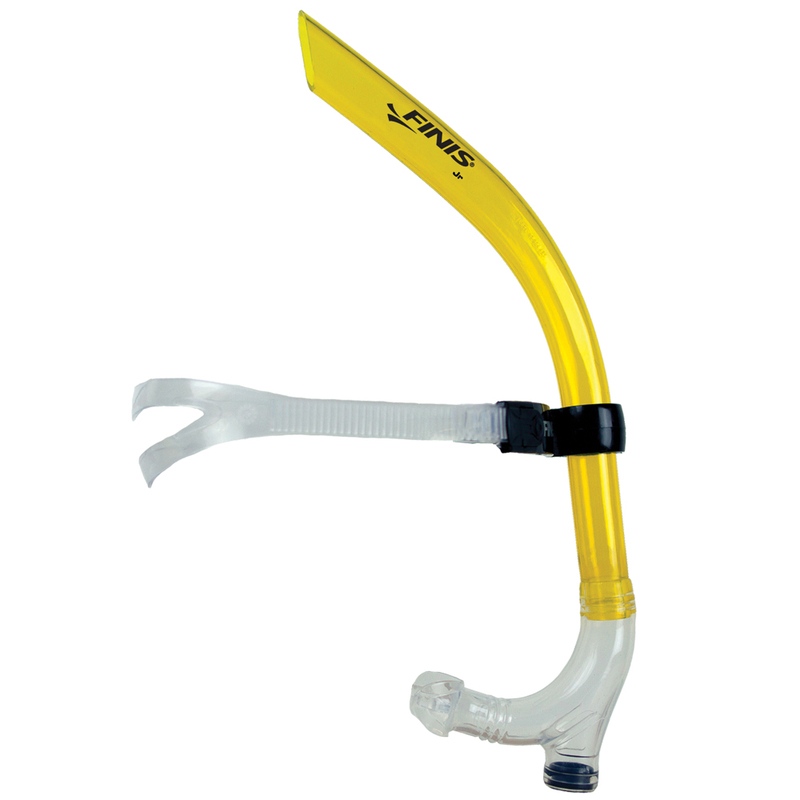 The snorkel takes the need to roll for air out, so you can relax and work on your kick. Don’t worry about how fast you are going. Work on getting some propulsion out of the kick. If you grind to a halt, just stand up, push off, and repeat. Alternate Fins and Nekked Feet — While you want to do the activity without support, fins can help to change the feel of the kick. Also the greater speed and resistance you get from them will help you feel whether you are in a tube or if you are kicking behind yourself. 2. 2-Beat and 6-Beat Kicks add Propulsion and Body Connection but they must be practiced. You can get a lot of articles on integrating the 2-beat kick into the stroke on the Total Immersion website. I find it valuable to work on integrating the kick into the rotation without the arms as well. You can add a slight rotation to the body position on beat using the Superman Drill or by the Active Balance drill when you kick with your hands at your side and roll from side to side. In both situations, it’s easier to do this initially on a 6-beat count than a 2-beat count. Think “Roll, Kick, Kick, Roll, Kick, Kick” as your cadence. Make sure you can change the direction of the body entirely in that one kick. I like to use fins and a snorkel when working on this so I can feel the beats on my footies and so I don’t have to roll to breathe. 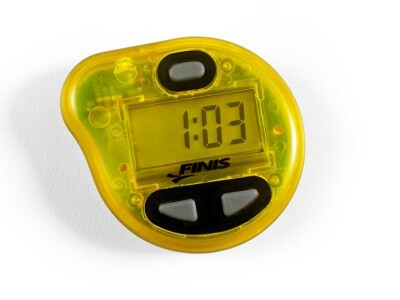 I will also use a Finis Tempo Trainer to count out each beat to stay on rhythm. For those who have a Tempo Trainer, take your regular stroke cadence per stroke (e.g., 1.00 seconds per stroke) and divide it by 3 to get the beat for 3 kicks per stroke. If you like your vertical kicking, you can add the rotations into the kick on the same beat. When you do these exercises, you will find yourself more in tune with the feel of how the kick can help the rotation when you come back to doing swimming or stroke integration drills. I’m a big fan of isolating parts of the movement, and this type of exercises can help you feel the rotation while improving your kicking form and leg strength. Emmett Hines has a bunch of great drills to work on this part of the stroke in his new volume of Fitness Swimming. 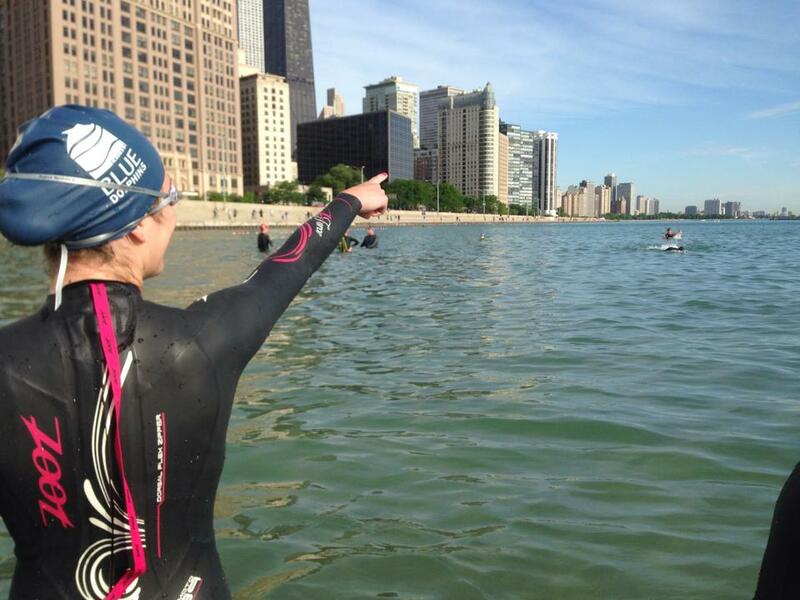 I tell my triathletes and fitness swimmers that, now that they’ve worked with Chicago Blue Dolphins, they will be faster than other swimmers and will need to pass people. Passing people in the water takes a lot more speed than what you would think. To pick up your speed, it’s best to think of picking up your tempo rather than just swimming hard. I find it easiest to pick up that tempo if I change the speed of my kick. If you did the exercises in step 2, you know that a faster kick tempo needs to translate to a faster arm tempo and body rotation frequency. By picking up your kick, it will help you change the overall feel of your stroke. But you have practice steps 1 and 2 before your do it. You should practice picking up the leg tempo and then going back to normal. Use a tempo trainer and snorkel or just work on alternating a fast portion of kicks with a longer easy, balancing tempo of kick. In conclusion, I’m not against kicking and working on your kick. Personally, I have strong legs and have always been a strong flutter kicker — not to Popov’s 27 seconds for 50 meters (Good God!) but pretty good. As I’ve gotten older, I’m just not interested in doing the kind of mind-numbing kicking sets that I did as a kid with a kick board. The above three points will give you real kicking sets that can improve your form and effectiveness of your kick while preventing you from considering a frontal lobotomy during in the middle of your practice. See you at the pool or lake!